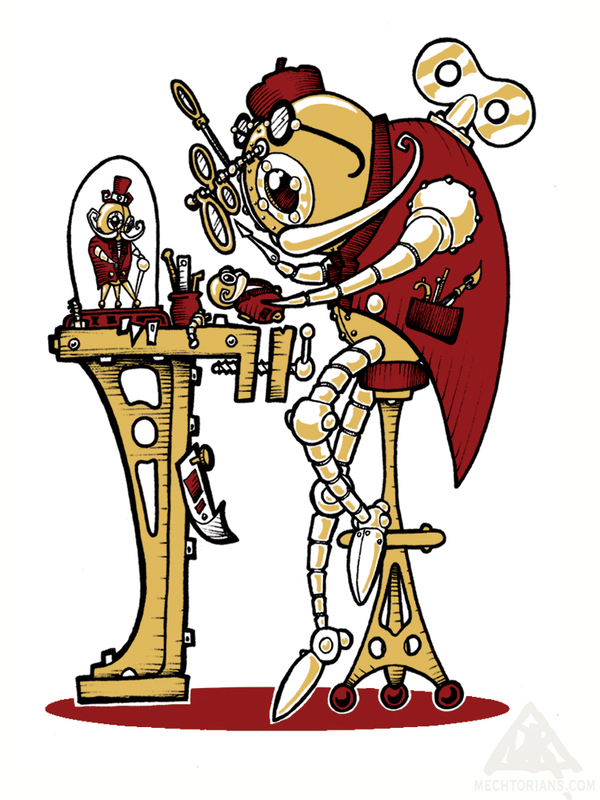 Renown throughout the land for their marvellous toys, Sebastian is one half of the famous Whittler brothers. 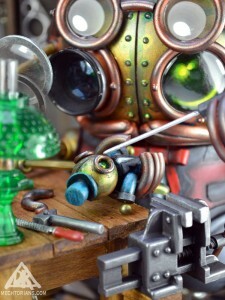 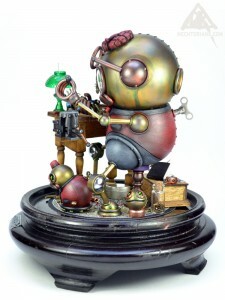 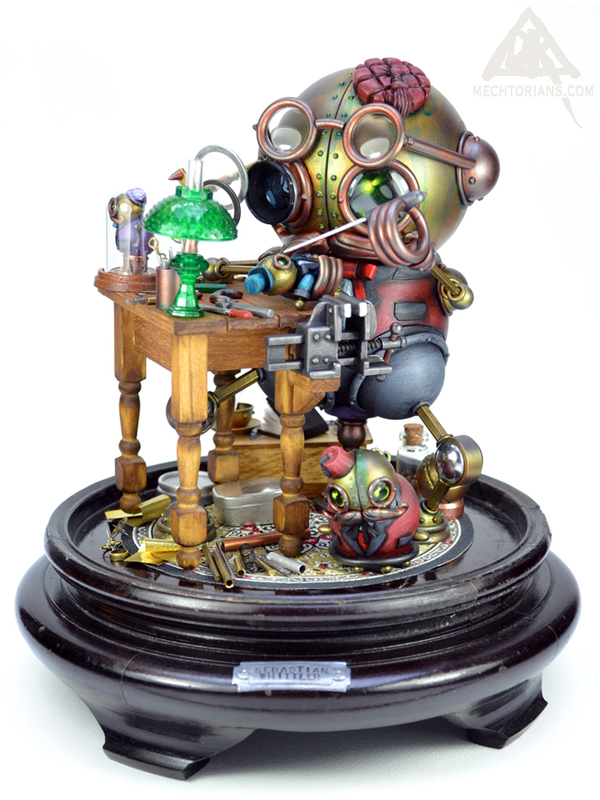 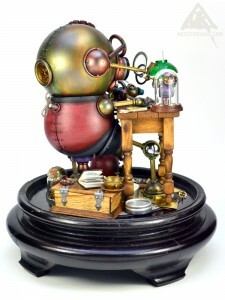 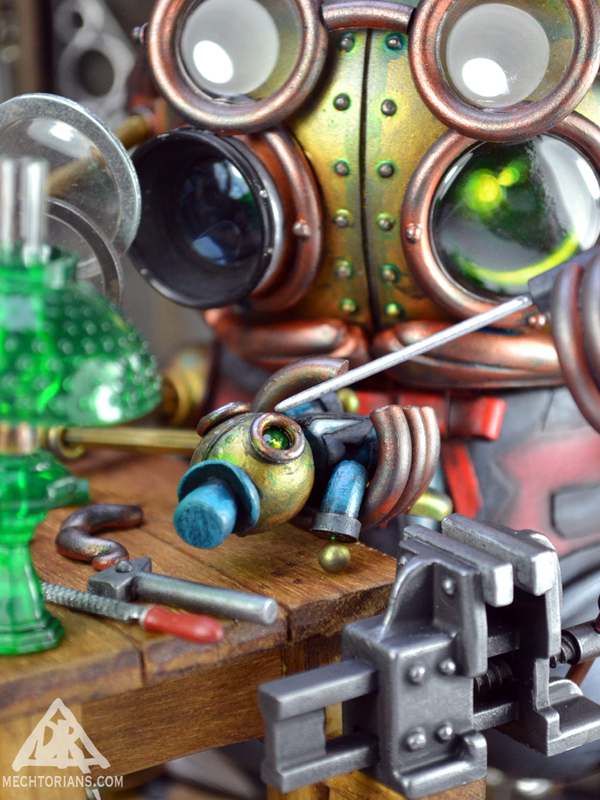 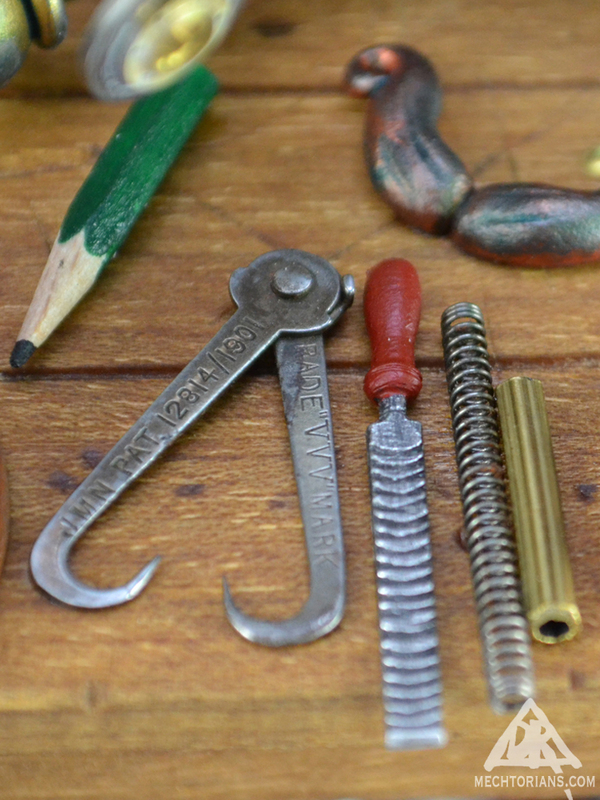 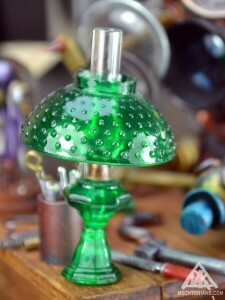 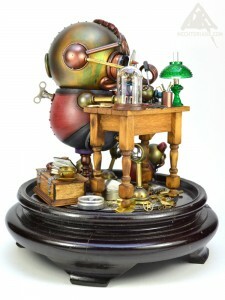 He works miniature mechanical miracles with whatever comes to hand. 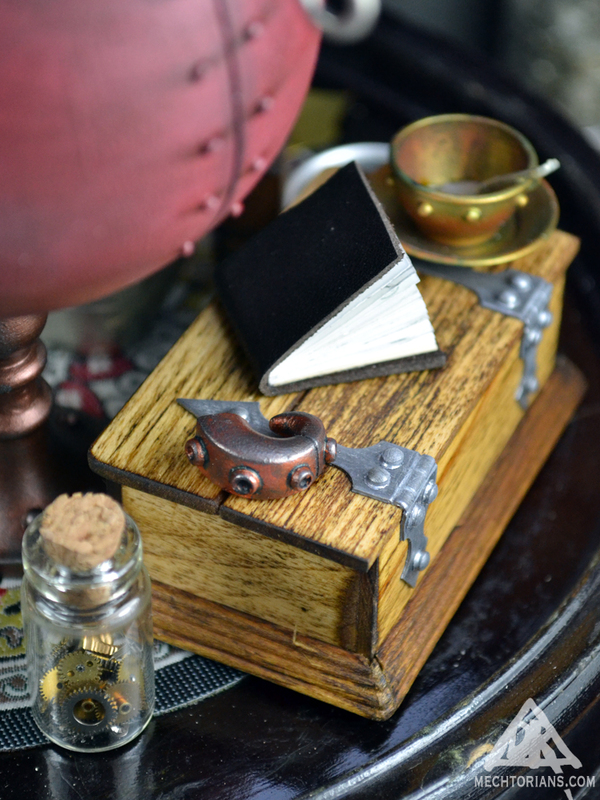 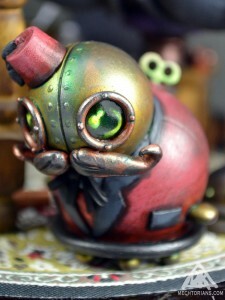 Creating curious characters and fantastical clockwork facies for the discerning collector. 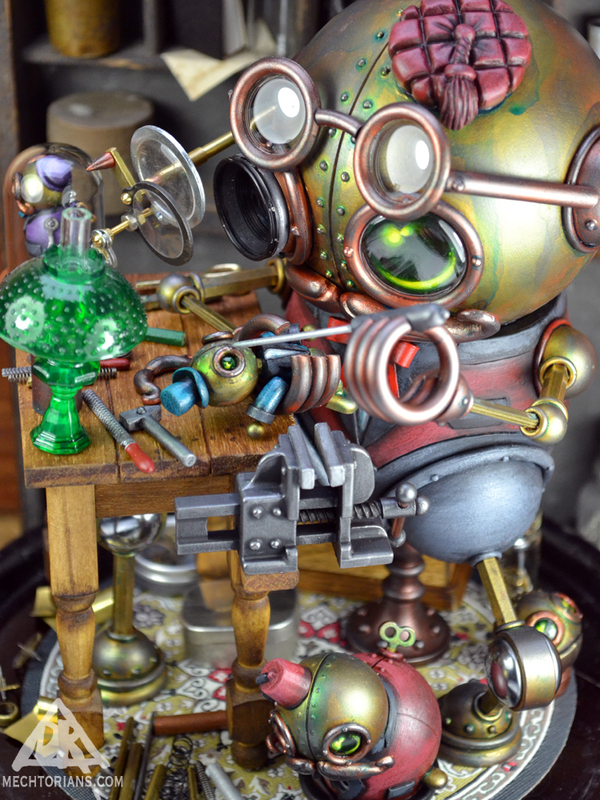 He has the sense when he works that he is breathing a little bit of his soul into each of his creations. An odd idea as they are, after all only clockwork. 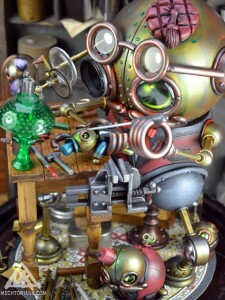 Not real living clockwork like himself. 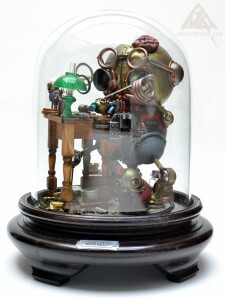 Vinyl, ABS, Brass, Lead, Rubber, Epoxy, Wood, Glass, Found Objects, in a vintage glass display dome.